A proud bear with my Cal cap, meeting with the community leaders and members of the Bulemezi village. 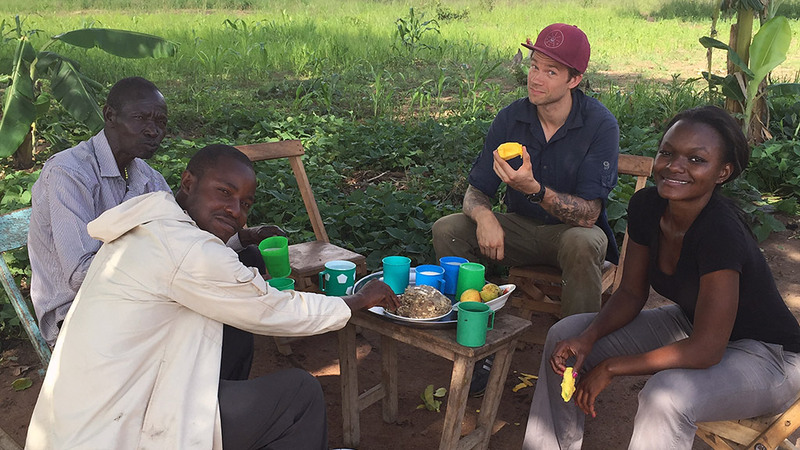 Enjoying the juicy mangoes in the village of Angerepo in North Eastern Uganda. One of the standard L Shaped Building Tomorrow plans. Posing for a picture in front of their old school, the children and their teacher shared their excitement about their new school. 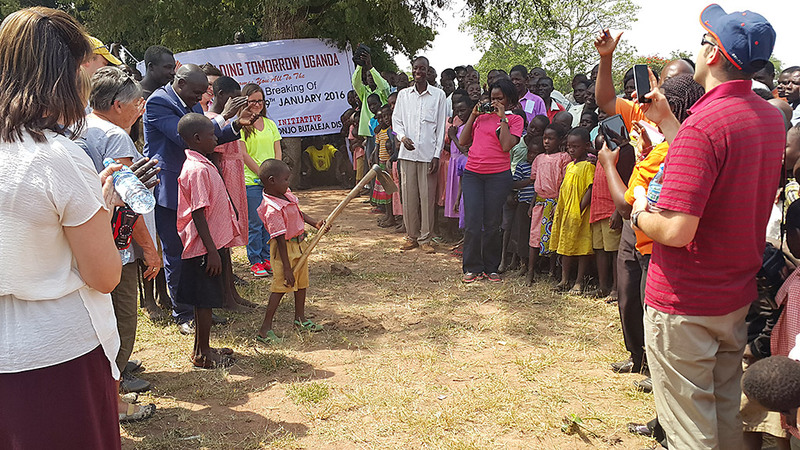 In this Somba Village of Eastern Uganda, this young boy took the honor of symbolizing the ground breaking of his new school, George Srour on the right in red is the founder of Building Tomorrow. From which direction do the strongest winds come? 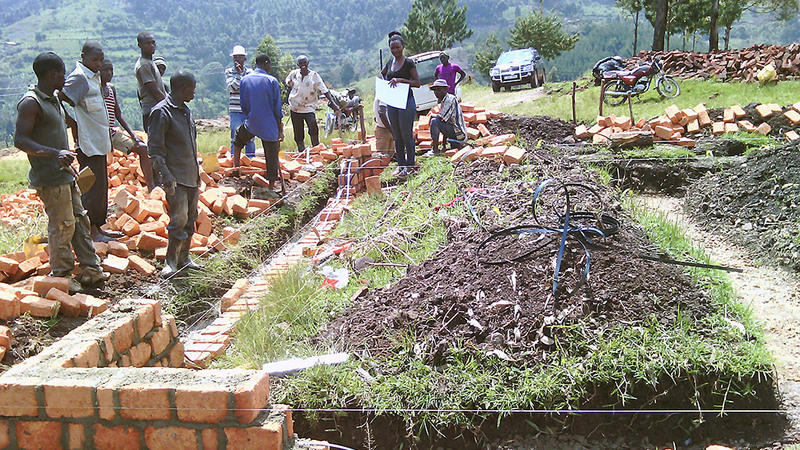 Together with the community, we set up the foundations at all the sites. 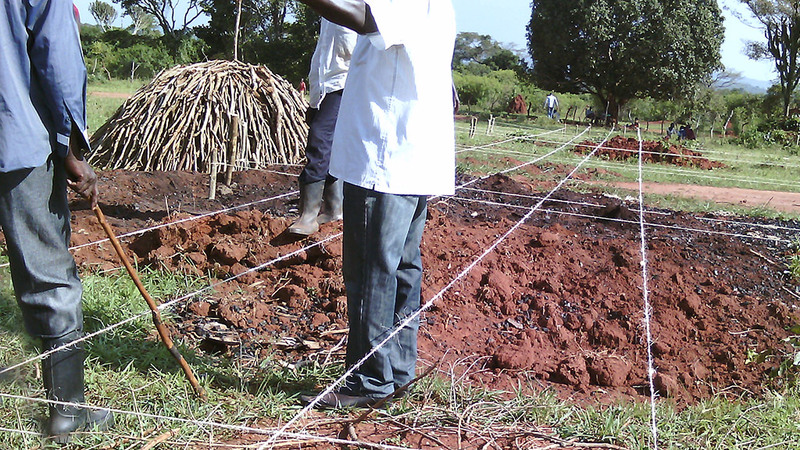 Construction of the foundation wall at the Building Tomorrow Academy of Rutooma in Western Uganda has started. After setting the foundation for their school, I was honored to spend some time with the children. 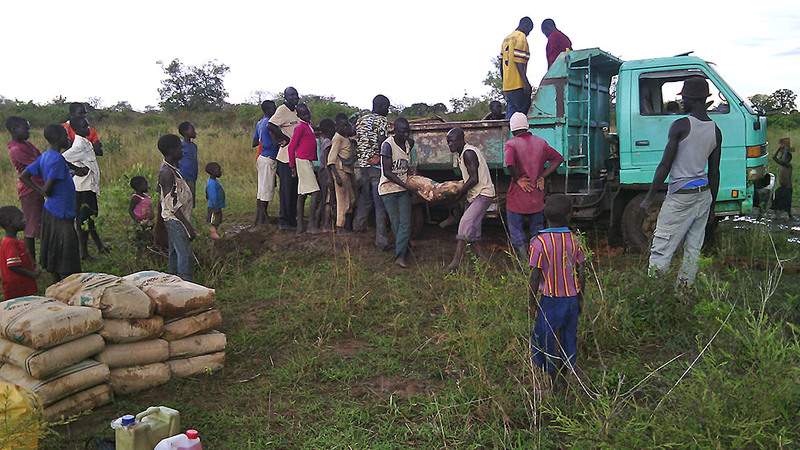 In Angerepo, North Eastern Uganda, we were just getting started. The community is working really hard to build their new school and is extremely grateful to the donors. I discovered on one of my construction supervision visits, that as soon as the mortar was cured, the children couldnt wait to be in a much more comfortable classroom. School is ready to commence at the Building Tomorrow Academy of Angerepo. At the Building Tomorrow Academy of Oyomai Village, the children are done with school for the day. On the far left is their old school. 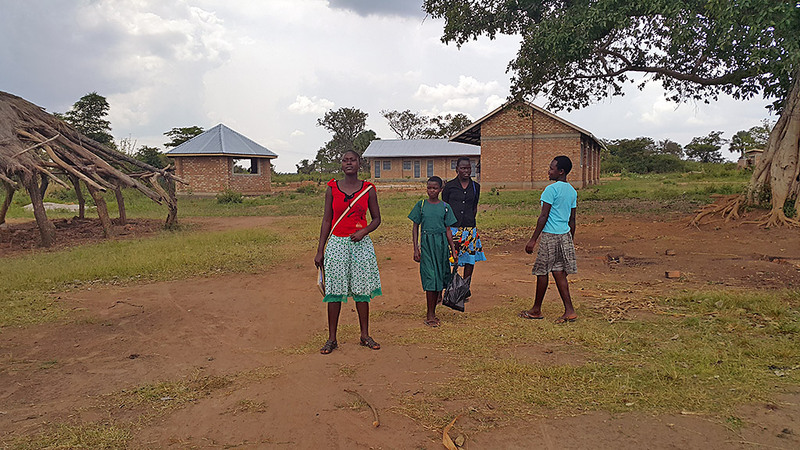 In the background is the new Building Tomorrow Academy for the primary school children of the Angerepo Village. 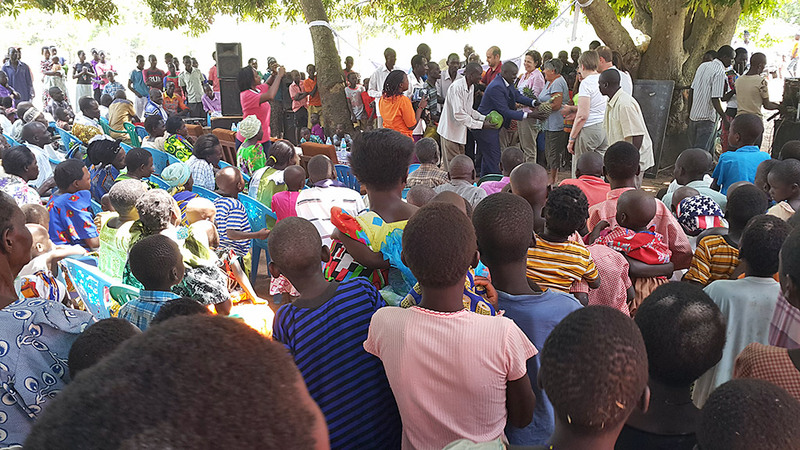 The founder of Building Tomorrow, George Srour in the red T Shirt, together with some of the donors and board members receive appreciation gifts from the Somba community in Eastern Uganda. 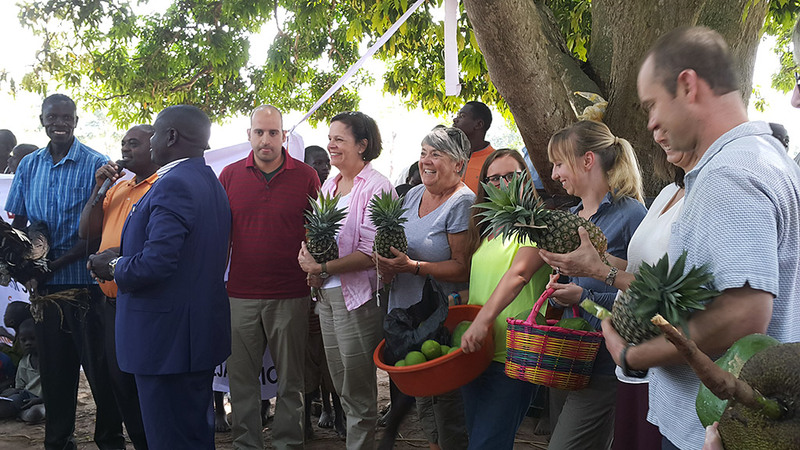 An excited community gives the donors presents of fruits as a symbol of appreciation. 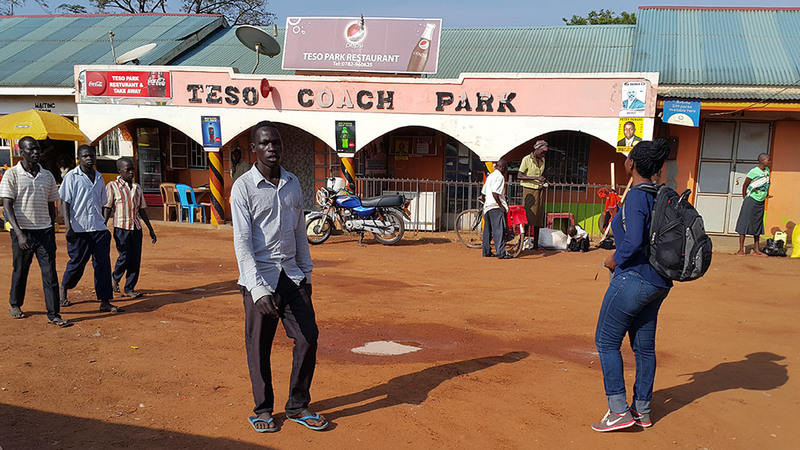 In the bus park heading to one of the sites in North Eastern Uganda, Katakwi. Regina Waits for the Bus. 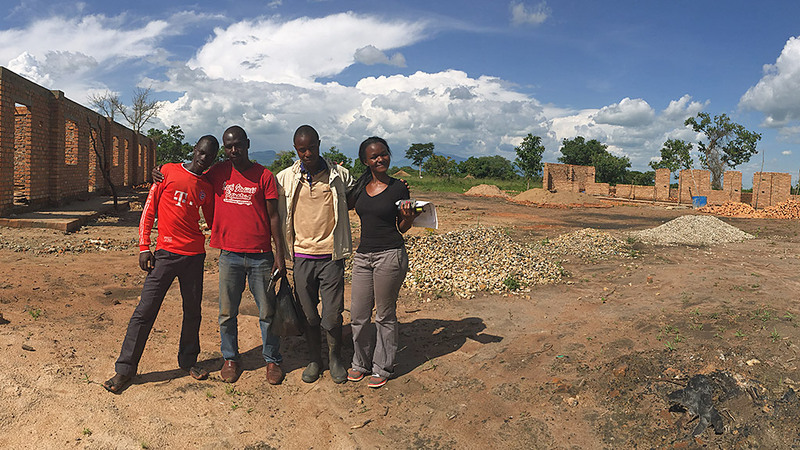 In 2012 after completing my degree in Architecture at CED and two subsequent years of training at SDG architects Inc. in Brentwood CA, I left for Uganda to work with the NGO Building Tomorrow. 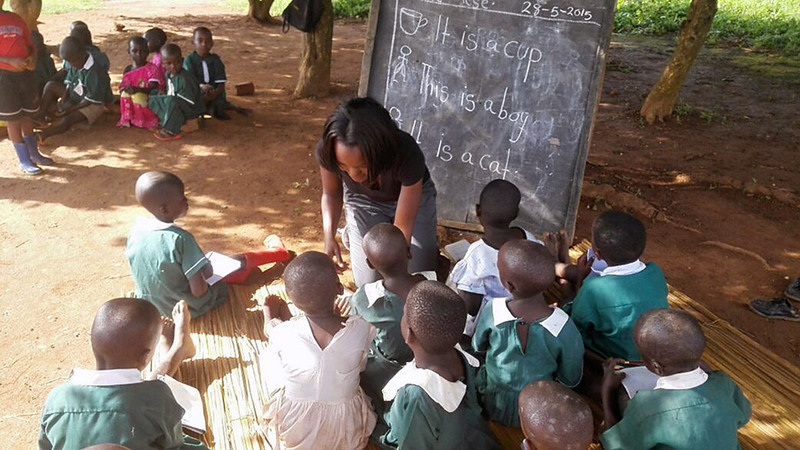 Founded by George Srour and directed by Joseph Kaliisa, Building Tomorrow catalyzes communities and individuals in support of access to quality education for students in East Africa. 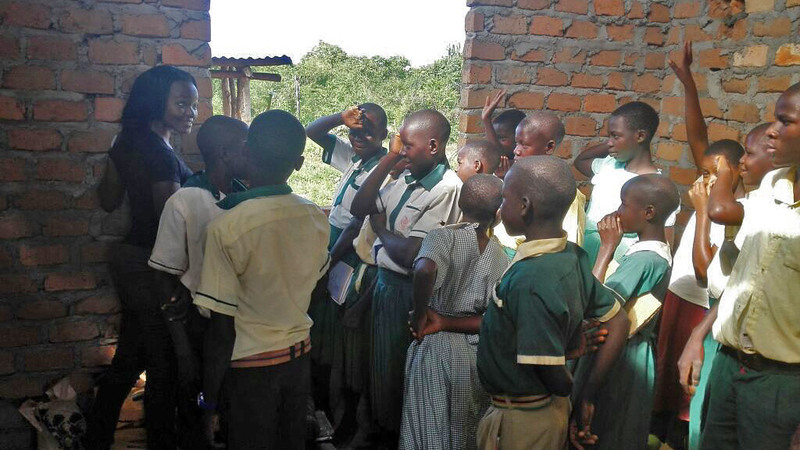 As a junior architect in residence, I am helping to build schools in remote rural areas of that region. The experience has been life changing. Even though I was born in Uganda, there are so many things my eyes did not really see. Going back to Uganda after nine years as an adult and with a college education from UC Berkeley, I now recognize how unfortunate people are because they lack the opportunity to receive a quality education in a safe learning environment with safe classrooms and W.A.S.H (Water, Sanitation and Hygiene Education) facilities. 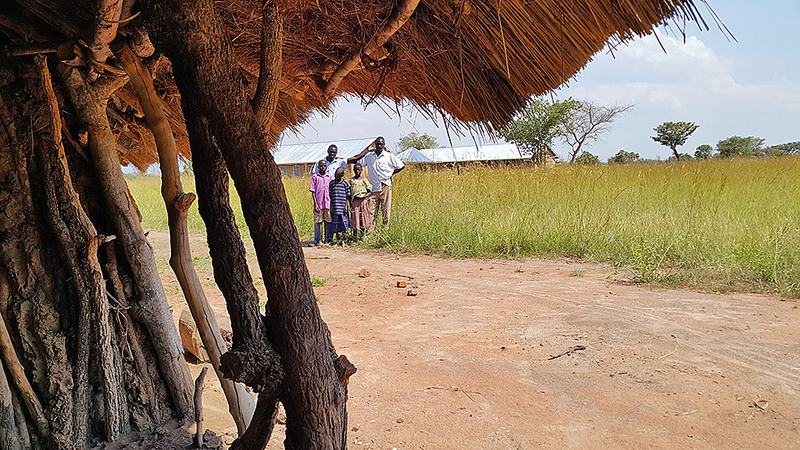 Beyond the actual building of new school facilities where often little existed beyond open thatch-roofed shelters, I discovered that just by showing up I have given the people and children hope, especially the girls and women. This has changed my life tremendously and I have learned so much about what I have done and can do with my career. Life is tough in these remote villages and there were many times when I felt like giving up. But I knew that if I showed up just one more time, I would inspire a child, a woman or a man to see the possibilities that come from education. 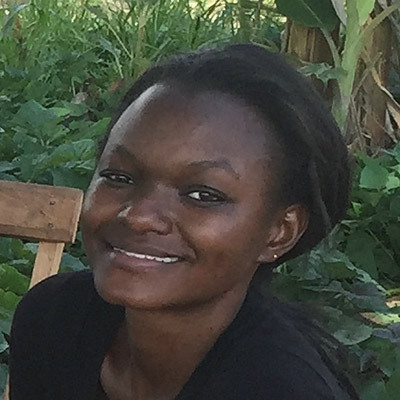 Most importantly though, I can stand as an example to the young girls and women who never imagined that a female could receive the level of education that I have — especially in the field of architecture and construction which is still considered “a man’s world” even in the most developed parts of the country. 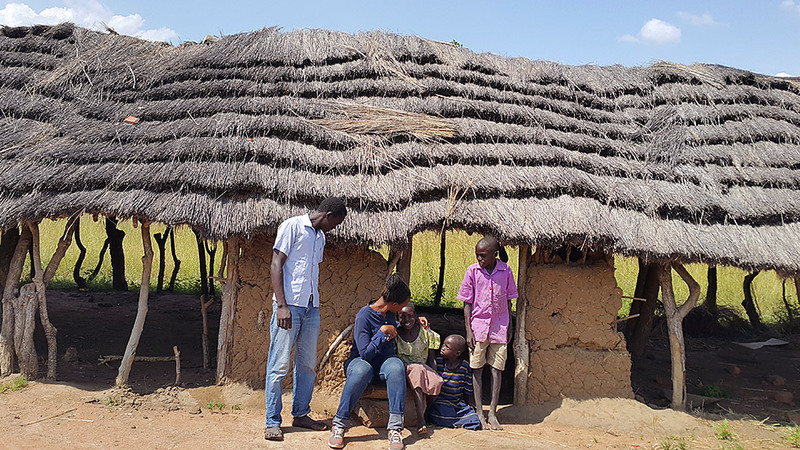 I have also been fortunate to have had the opportunity to supervise a 2014-2015 Bristol Fellowship Recipient from Hamilton College in New York, Evan Warnock, who spent 3 months in East Africa experiencing the entire Building Tomorrow process — from village identification, assessment, and pre-construction, to construction and post construction. 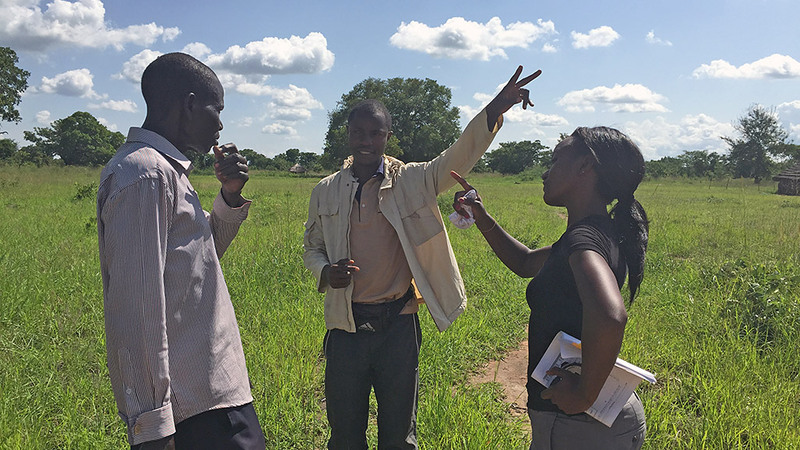 When the site is approved by the assessment team with the help of their guidelines, I go out into the respective village to inspect the land that has been donated by a community member for the construction of the school. I learn how much space we have to work with, take measurements if necessary, and determine how flat or steep the ground is. 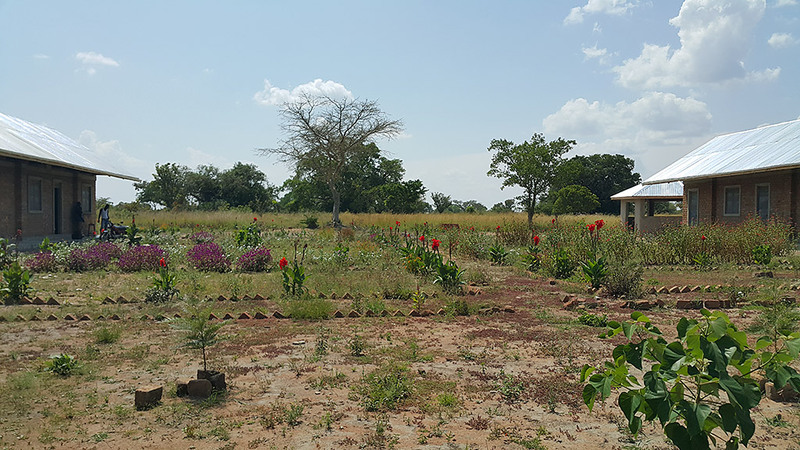 I ask basic questions about the soils, the sun’s direction, winds, how close the water table is (this would determine if the school would need a standard 30ft deep pit latrine or a drainable one), and research numerous other factors. All these guide my design process. Even though the plans are basic L or parallel forms, I still draw initial sketches for each one of them while on site. 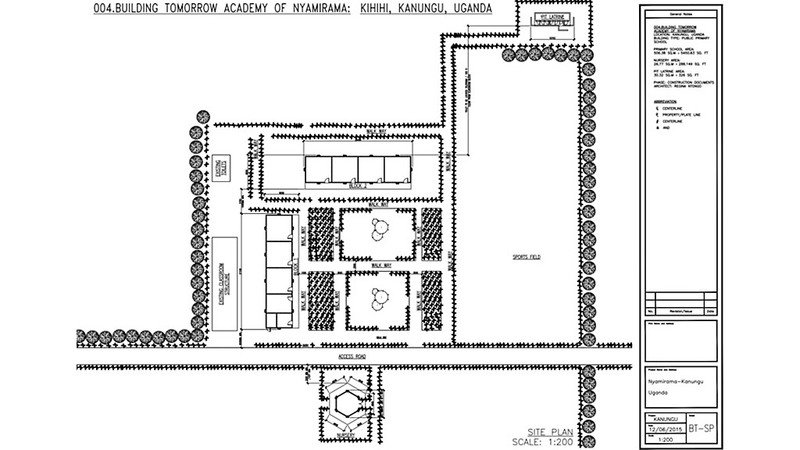 When I return to the office — located in the nation’s capital, Kampala — I draw the plans using AutoCAD. I then send them over to the USA office, order the blueprints, send copies to the respective district health inspectors, and engineers at the district headquarters in Uganda for approval. Once approved, I go out to the site with the contractor and literally set the foundation myself with the help of the contractor’s team. 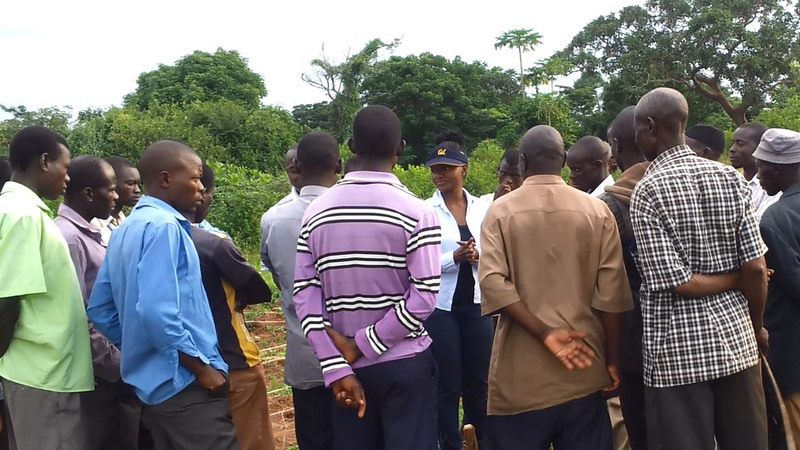 In addition to managing projects, I always take the opportunity to speak to people in these communities as well. They see me when I lead a team of men throughout the construction of their schools, they hear me when I instruct men that are much older than me. I am a woman, but I am a woman who has had the greatest of opportunity to attend one of the greatest universities in the world. 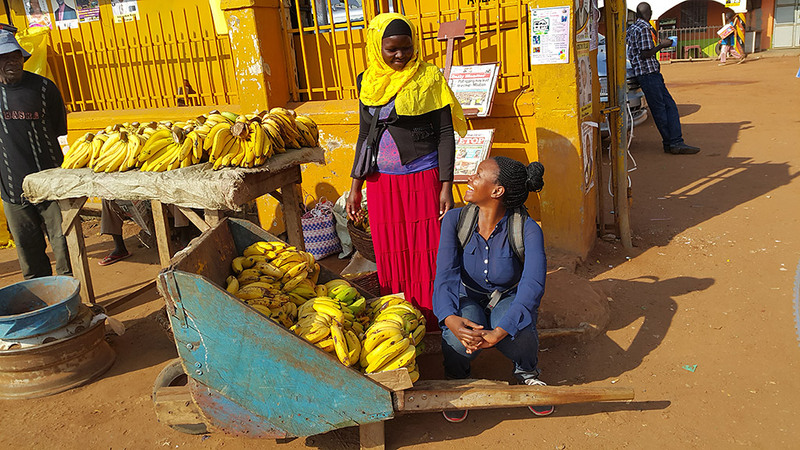 And I am a woman whose parents did not look at me as an opportunity for wealth through bride price (which after all that is the greatest value of a girl over 12 years old in these villages). 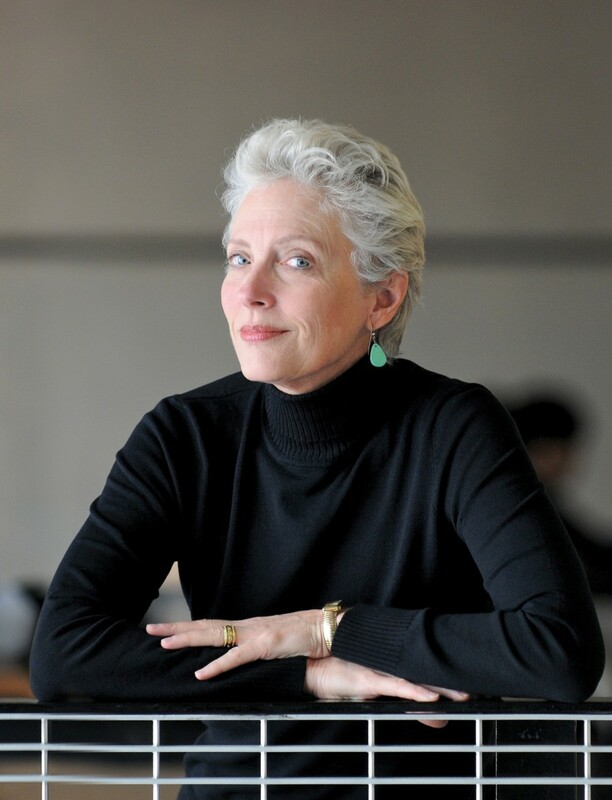 While I was at Cal, I knew that Berkeley and CED were great in every aspect of education, but I did not realize that the university was shaping me as an individual, to lead, to stand up for equality, to be courageous among others, wherever I go in this world no matter the field, even where it is forbidden for women to lead. It would take volumes to recount my entire experience over these past 14 months. The one thing I know is that Berkeley and CED trained me to be a strong leader, to take up challenges, to produce work of distinction. That is what I plan on doing as I positively change people’s lives here in America, across the globe in East Africa, and anywhere else I work in the world.